Do I need previous paddling experience in order to join a kayak expedition, multi-day trip or day trip? Do you accommodate private groups? children? special requests? Should I tip the guides? And if so, how much? What kind of kayaks, bikes and paddle boards do you have? Do I need to make a reservation for rentals or your shorter tours? What do I need to pack if I'm renting equipment for a day? What do I need to pack if I'm joining a 2 night trip? What time can I pick up my rental, and when do I need to have it back by? What time does a tour start and end at, and where do we meet up? Do you deliver rentals to other locations? What happens if the weather is bad on the day of my tour or rental? How fit do I have to be in order to join a kayak expedition? How much paddling do we do every day on a kayak expedition? What are some of the common characteristics of the people who join your expeditions (age, group size)? What kind of clothing and gear do I need for a Gwaii Haanas expedition? I have dietary restrictions (vegetarian, vegan, allergies). Can you accommodate me? Not at all! All our trips are open to all levels of paddlers. We provide detailed instruction and feed-back to beginners which facilitates a quick learning curve. Experienced paddlers can seek enrichment with more advanced techniques. Choosing which style of trip you do (day trip, multi-day trip or kayak expedition) really comes down to how much time you have, and how comfortable you are living in the wilderness. Our Gwaii Haanas expeditions are all 8 days long, and we paddle to different campsites nearly every night, meaning more comfort in the wilderness and on the water is important. Our day trips and two or three night trips are great if you're looking for a little less of a commitment. ^ Go back to the questions. Absolutely. We will happily organize a Gwaii Haanas expedition, or a shorter tour for a private group.  Please contact us to discuss your needs, and we'll advise on what the best options might be. Since we live here, we are very flexible with our time and are always eager to explore new ideas and horizons. Ask us when you get here! Even during the summer months, the weather here is constantly changing. Therefore, you can expect a wide range of conditions on your trip. This uncertainty is what makes paddling among these islands so exciting and unique. Regardless of the weather there is always opportunity to explore, learn and have fun. We recommend you bring layers, and a really good rain jacket to be safe. Gratuities for your guides are entirely optional. If you feel inclined to show your appreciation monetarily for a job well done, an average tip is between 5% and 10%. We have two fleets of kayaks. Our Gwaii Haanas fleet is made up of new Seaward fibreglass kayaks - singles (Tyee) and doubles (Passat), which allow participants to challenge themselves paddling solo and rest in tandem. Our rental and day/multi-day tour is a combination of plastic and fibreglass kayaks, and also a combination of singles and doubles. There are a variety of models available for Seaward, Necky, Nimbus and Current Designs. You're welcome to reserve a particular boat if desired. Our bikes are Brodie Voltages, and we have a range of sizes ranging from small to extra large sizes. These bikes are great both on the paved road, and on the logging roads. Our paddle boards are inflatable NRS boards, making them easy to transport and great on the water. All our major pieces of equipment come with the necessary safety equipment. How fit do I need to be to join a kayak expedition? We require that each paddler have good overall health, the ability to swim, an eagerness to camp (set that new tent up before your trip! ), and a basic comfort level on the ocean. However, while good physical fitness and general health are always an asset for enjoying outdoor activities, attitude is often as important as muscle in a strong headwind! How much paddling do we do every day on a Gwaii Haanas expedition? 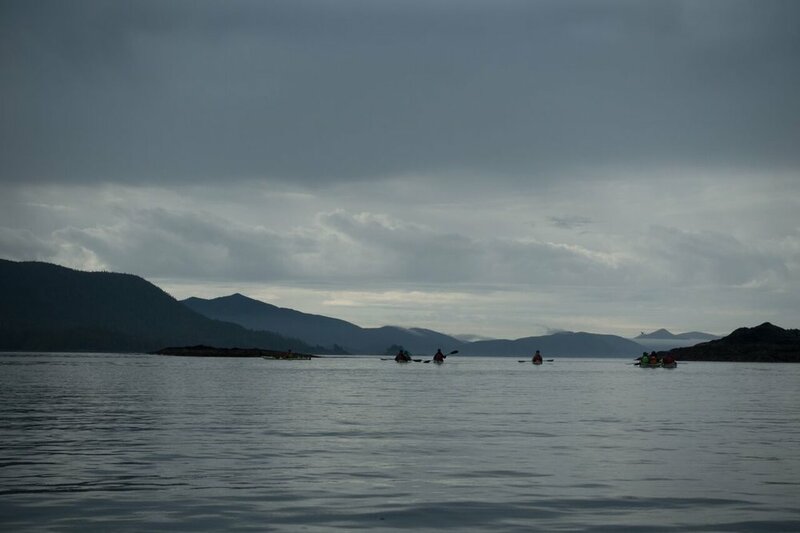 On a Gwaii Haanas expedition, we average 4 to 6 hours of paddling every day and typically move camp most days. Haida Gwaii weather and sea conditions will ultimately determine how far and which direction we will paddle each day. What are the common characteristics of the people who join your Gwaii Haanas expeditions? Enjoy meeting new people and sharing the kayaking experience with others. Kayaking has great rewards to offer people of all ages, and we have enjoyed the company of a 10 year old boy as well as a woman who was 82 years young. That said, the average age tends to be between 35 and 65 years old. We also have a nice mix of men, women, singles, couples, and groups of friends. What kind of clothing and gear do I need to bring on a Gwaii Haanas expedition? We will provide you with a packing list for a Gwaii Haanas expedition. But, in short, you should be prepared for all different kinds of weather - which means bringing a wide range of rain gear. You should also have a few types of footwear, including some pair for the day that can get wet. Our expedition guests are also responsible for their own camping equipment (dry bags, tents, sleeping bags, sleeping mats, etc. ), but we do have those available for rent if you need. We will provide you with all the essential kayaking gear and safety equipment. Yep! We're very accustomed to accommodating a range of dietary preferences and restrictions including vegetarians, vegans, gluten-free and other allergies. Our meals tend to generally be vegetarian-friendly, since meat doesn't travel terribly well. We also place an emphasis on sourcing food locally whenever possible. If you have an especially serious food allergy, please let us know at the time of booking so that we can discuss how your trip will work. In the summer months (May - August), we do recommend making a reservation for rentals or tours, especially if there is a certain piece of equipment or date that you have in mind. Our tours run based on demand, so the more advance notice we have of a particular date you'd like to head out on, the better the chance we can recruit others to join you as we need 4 people in a group to run a trip. No matter what kind of equipment you're renting, you should pack layers as the weather changes quickly here. For those in kayaks, you should wear shoes that can get wet (or you can opt to rent neoprene booties from us), and you should pack your personal belongings into a drybag (also available for rent). If you're on a paddle board, we will provide you with a wetsuit and neoprene booties so you should bring a change of clothes and something to wear underneath. If you're on a bike, wear closed-toed shoes. We'll provide the helmet! We will provide you with a packing list prior to departure. But, in short, we will provide you with the necessary camping equipment. You're responsible for clothing (bring layers! ), footwear (bring a pair that can get wet) and any other personal items you might like to have. Our shop hours in the summer are from 8 - 8 daily. Kayak rentals must be picked up at 9am or 1pm, and we ask that guests arrive 30 minutes ahead of time to organize paperwork and equipment. We then all head down to the beach for an orientation. Bike and paddle board rentals can be picked up anytime during the day. All rentals must be back by 7:30pm. If you'd like to pickup or return your equipment outside of these hours, we charge an additional fee and this would need to be arranged in advance. All pick ups and drop offs occur at the beach in front of our office in Charlotte. Generally, our tour groups meet at the Green Coast shop in Queen Charlotte around 9am to begin filling out paperwork and getting the equipment sorted. We then launch about an hour later for whichever tour you are heading out on. Most tours return to the shop between 4pm and 6pm. The exact time depends on the weather, the tides, and the group's preferences. Do you deliver rentals to other locations/Can I transport equipment to other locations by road? Our preference is to have all equipment launch and return to our office in Queen Charlotte. We are located in a sheltered inlet, and feel like some of the best local paddling sets off from here. That said, we will organize deliveries and pick ups at special locations on a case by case basis, for an additional fee. Please contact us in advance to organize this. We generally do not allow guests to transport equipment themselves - particularly when it comes to kayaks, as this can be a risky undertaking. But again, we will do this on a case by case basis. Please contact us to discuss your plans. What happens if the weather is bad on the day of my rental or tour? Depends what you mean by bad weather. If it's a calm but rainy day, your rental or tour will proceed as planned. Rain is a common occurrence here, and we will not issue refunds for deposits paid if you'd rather not paddle in it. Wind however, is a different story. If we anticipate high winds for the that you've booked rentals or tours, that would make going out on the water unsafe, we reserve the right to cancel your booking. In this case, we will return your deposit.